New Series – I Deserve It | The Exchange | Get Life. Give Life. How different would the world look if everyone got what they deserved? Would your salary be the same? What would our prisons look like? Would nice guys finish first or last? Or would things be a lot worse? This new three-part series will take a look at the things we actually deserve that God’s forgiveness spares us from: death, condemnation, and being counted out. 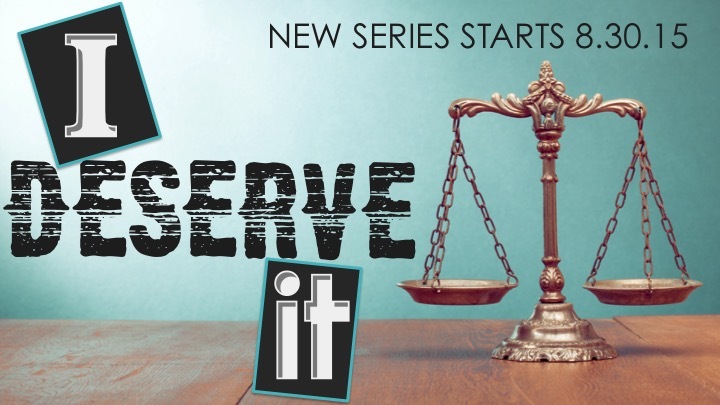 Join us for the new series I Deserve It beginning Sunday, August 30 at the Gathering Sundays at 9:15 & 11:00.